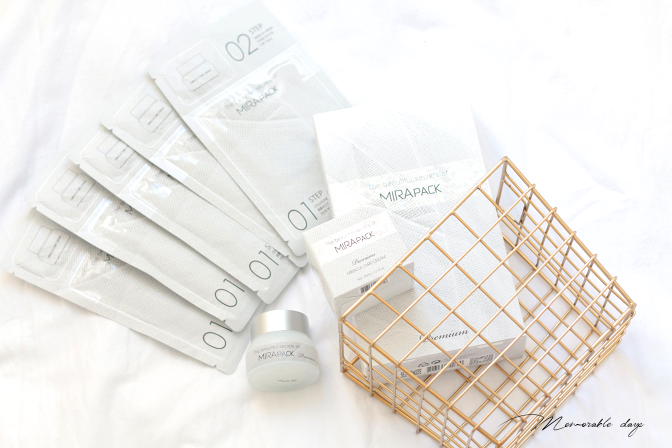 Review+Giveaway: The Yufit Mirapack Sheet Mask & Miracle Care Cream | Memorable Days : Beauty Blog - Korean Beauty, European, American Product Reviews. 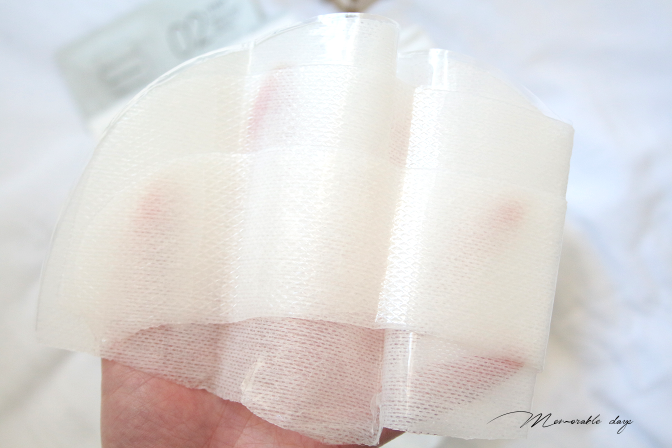 I am reviewing products of a Korean brand that you might haven't heard of yet. I am talking about the brand: THE Yufit. 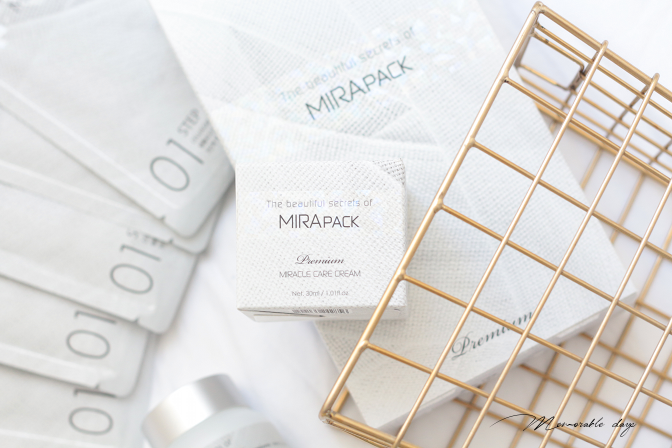 It's a brand who is in the Korean beauty market for over 10 years, but they are launching some of their products in the US for the first time soon. 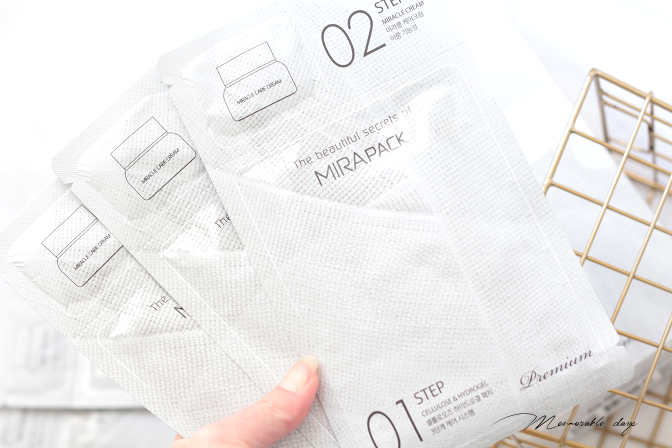 I will be reviewing their sheet masks and their miracle care cream in today's blogpost. The name of the product sounds interesting isn't it? This blogpost also contains a small giveaway, make sure to read this blogpost, so you can see how you are able to join the giveaway (open worldwide)! This is a 5th generation cellulose sheet from 100% cotton that delivers active ingredients deep into the skin. 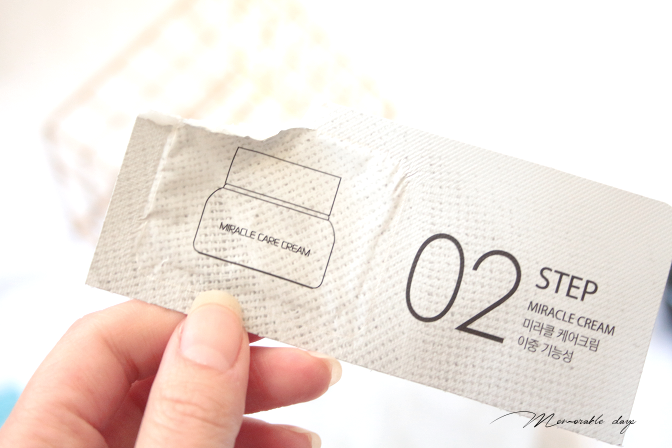 This unique sheet mask is able to hold 35g of ingredients which is the largest amount of ingredients contained in a single sheet mask compared to other brands in South Korea (march 2016). 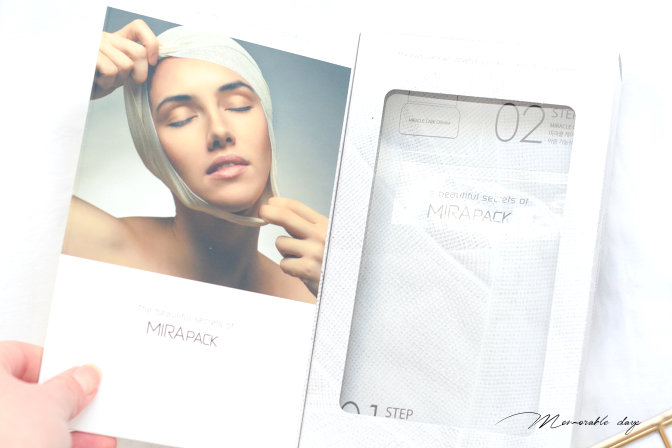 The mask is made from hydro-gel based cellulose, that helps to cool down the skin and effectively deliver the ingredients into the skin. It's safe to use for sensitive skin as well. 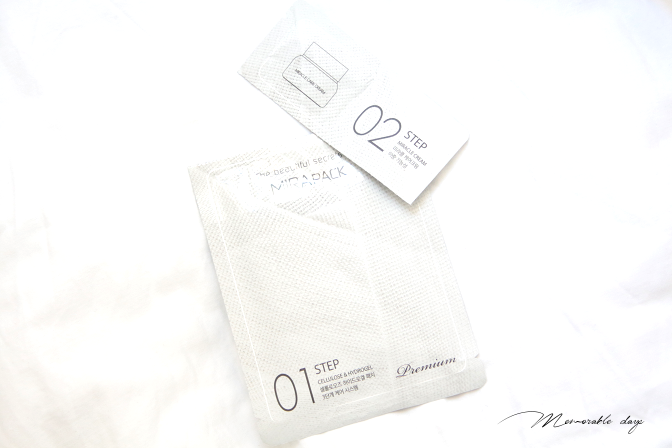 The sheet mask also contains adenosine, which will tighten the skin. It works as one of the most effective wrinkle improvements to the skin, which keeps it healthy looking. 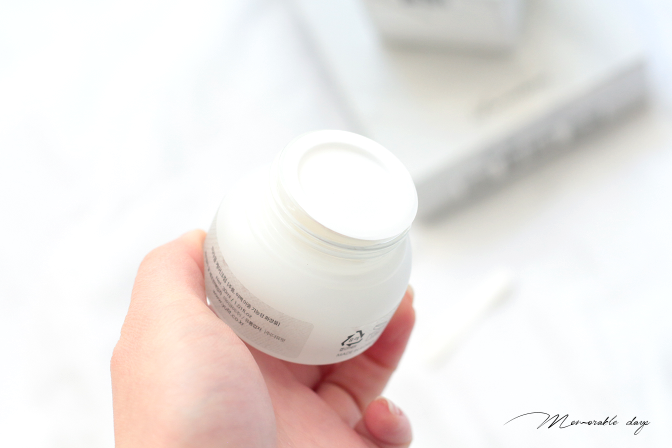 It also contains niacinamide, which is a water-soluble vitamin that will brighten the skin. 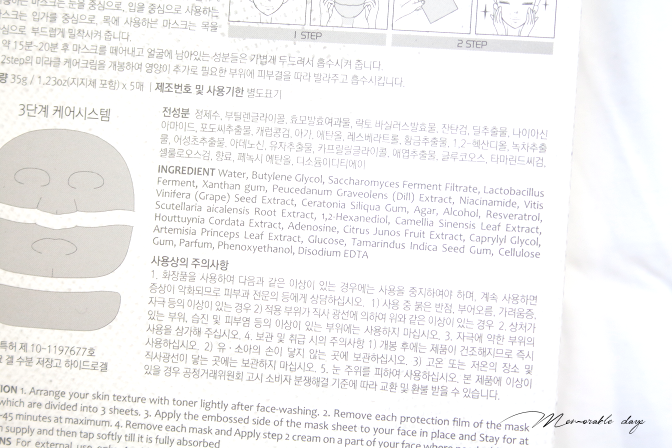 The sheet mask contains many extracts that are from natural sources. I like how simple but nice the packaging looks. It has a grey packaging with English as well as Korean descriptions on it. Since the product is new in the US market, I made a new page at Cosdna.com, so you can have a better view of the ingredients. The product does contain perfume. The scent of the sheet mask is not overwhelming to me, but does have a cream-like scent to it and it smells fresh. It smells like clean clothing to me (this is so hard to describe hahah). Bioduoferm (saccharomyces ferment filtrate, lactobacillus ferment) is also inside this mask, it makes your skin firm and healthy looking. 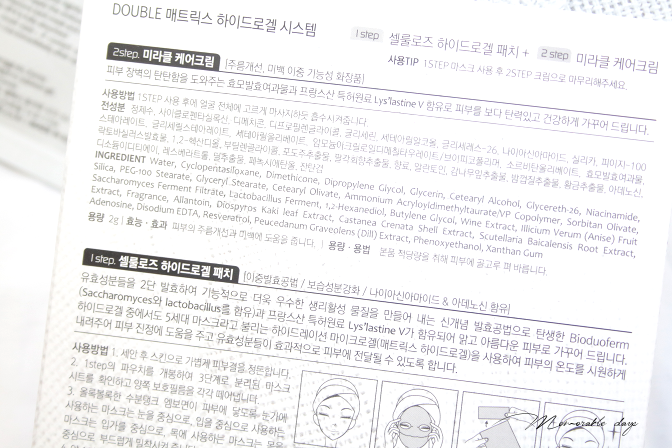 As you can see it has 2 steps, one is the actual sheet mask, the second part is the miracle care cream. The sheet itself got 3 parts (eye area, mouth area and neck area), once I got the mask out of the packaging I could already see that there was no essence dripping off, which is definitely a pro. 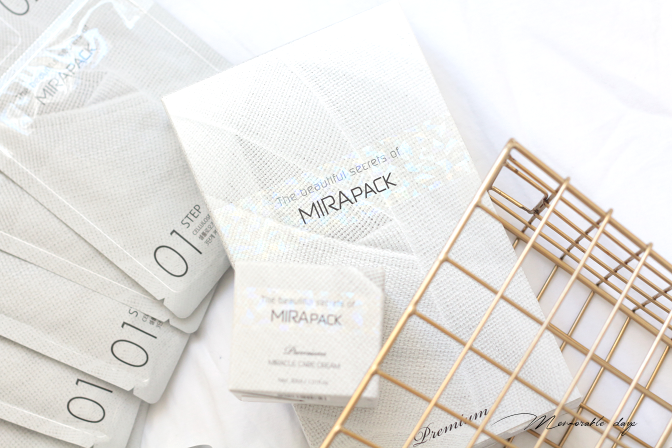 The sheet mask locks all ingredients inside it, without dripping! The size of the sheet mask was just right for me, it also covers the lips and eye area. 3. 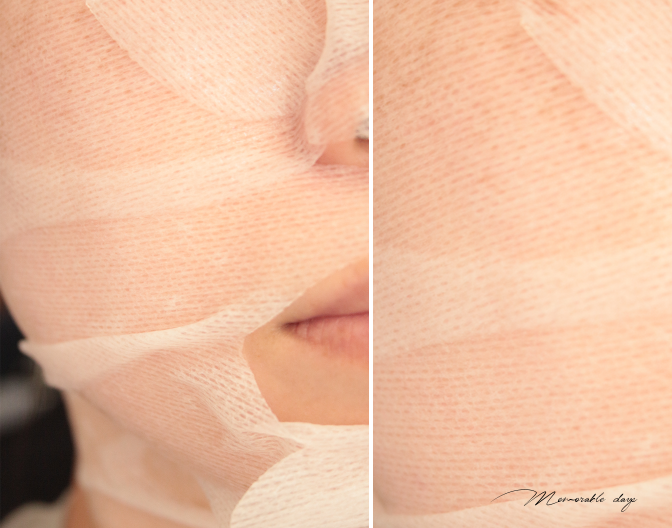 Apply the embossed side of the mask onto the face. Once the sheets are properly applied, remove clear film. 5. Apply the miracle care cream on your face and neck where additional moisture is needed. Tap softly until it is fully absorbed. Once I got this sheet mask on I could feel the cooling effect, it feels very nice on the skin when you're tired or when it's a very hot day. The good thing about this mask is that it really locks the ingredients inside it. No product was dripping off when I took the mask out of the packaging or while I applied it on or when I had it on. You can really feel that the product sicks into the skin. I normally do other things while I have a sheet mask on, but the neck mask part didn't stay at one spot, which is why I really had to lay down to prevent it from moving around. The mask is hydrating, I couldn't feel any tightening effect though. I had the mask on for 20 minutes and took it off after. There wasn't much excess product on my face since it was all absorbed into my skin which is great. It also showed a healthy looking glow, which is the brightening effect that it gives. My skin felt soft after and I moved on with the next step: The Miracle Cream. The miracle care cream is also available as a full size product. This cream gives you an extra layer to protect moisture loss. 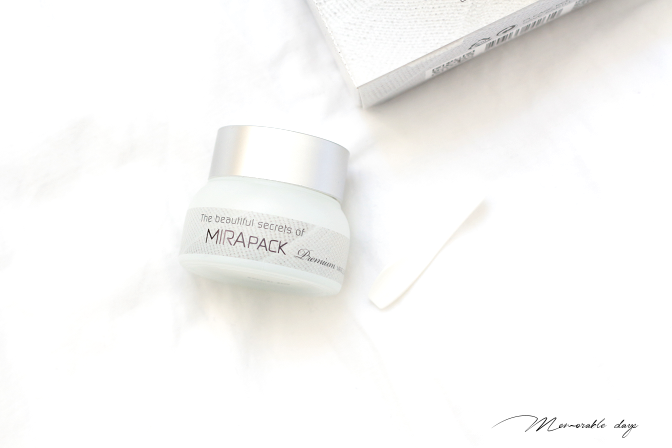 It contains active ingredients which helps to renew the skin elasticity. It holds moisture up to 72 hours, at least that's what they claim. It contains 30ml of product and comes with a spatula. 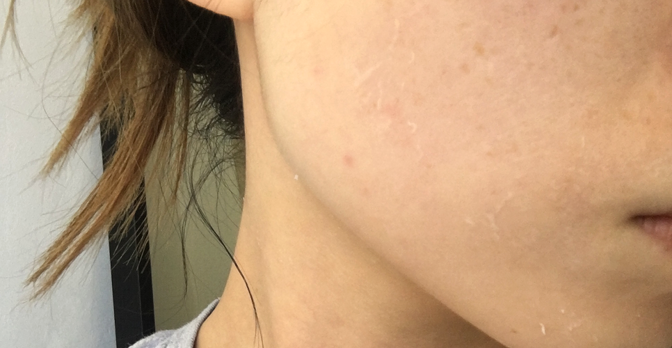 I made the following page at Cosdna.com, so you can see which ingredient might irritate your skin. Bioduoferm (saccharomyces ferment filtrate, lactobacillus ferment) is also inside this cream, it makes your skin firm and healthy looking. Water, cyclopentasiloxane, dimethicone, dipropylene glycol, glycerin, cetearyl alcohol, glycereth-26, niacinamide, silica, peg-100 stearate, glyceryl stearate, cetearyl olivate, ammonium acryloyldimethyltaurate/vp copolymer, sorbitan olivate, saccharomyces ferment filtrate, lactobacillus ferment, 1,2-hexanediol, butylene glycol, wine extract, illicit serum (anise) fruit extract, fragrance, allantoin, diospyros kaki leaf extract, castanet crenate shell extract, scutellaria baucalensis root extract, adenosine, disodium edta, resveratrol, peucedanum graveolens (dill) extract, phenoxyethanol, xanthan gum. It has a gel-type texture that is easy to spread. It has the same scent as the sheet mask but slightly stronger. It doesn't feel sticky on the skin which is great, but it does takes a while to absorb into the skin. I am not a big fan of the texture since it feels a bit like silicone and it sits on the skin rather than that it absorbs. You can definitely see on this picture below that it just sits on top of the skin and doesn't absorb fully. I only touched my skin a little bit after 45 minutes and small bits of the product (the white stuff) came off. And no my skin is not flakey, it's the cream that flakes and it clumps. I didn't use a big amount of cream as well. I have been using this cream with the mask for a few times and it had the same effect on me. I do would like to point out that this might not happen to you when you use it, as every skin is different and can react differently on certain products. Also it claims to lock moisture for 72 hours, it's hard to test this since I do wash my face twice a day (morning and evening) and apply other products during the 72 hours. My skin didn't feel extra moist after using this. Currently it's hard to purchase this product online. As they will launch in the US soon, this page will be updated after it has been announced where the selling points are. This product is available in South Korea though.